Morey's Piers, the region's leading Family Recreation destination, is recruiting Interns to join our seasonal team. The internship provides the opportunity for college students to develop a wide range of resume-building skills, while working alongside professionals that represent some of the best in the field. Interns will have the opportunity to interact with co-workers at every level - from management to fellow co-workers. Looking to further develop your leadership and management skills in the Aquatics/Waterpark industry? Need to fulfill internship requirements? Want to live at the beach this summer? 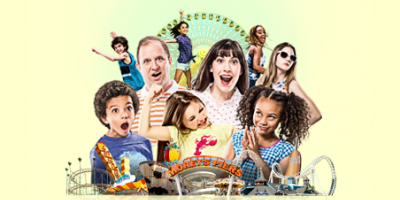 Morey's Piers and Water Parks is recruiting individuals to fulfill seasonal Supervisory / Leadership positions in Aquatics and Guest Services / Admissions for the 2019 season. Morey's Piers will provide all job specific training, uniform and a very competitive compensation package including a seasonal performance bonus. In addition, affordable housing within walking distance from our water parks is also available to supervisory level associates. Duties include daily staff/zone supervision, assisting in overall amusement/waterpark facility operations, organizing associate activities, staff training, emergency response, identifying and resolving problems, cash control, admissions systems, and risk management. Top priorities include ensuring the safety of guests and fellow associates, facility cleanliness, and providing guest service that exceeds expectations. Due to the seasonal nature of the Wildwoods, ample affordable seasonal housing is available for summer residents. In fact, a majority of the seasonal Associates for Morey's Piers are from out of the region and spend their summer living at the beach in Wildwood. Available for majority of summer season. Prior supervisory experience in a water park/theme park/resort environment preferred for Aquatics, or retail supervisory experience for Guest Services/Admissions. Experience with the Ellis and Associates risk management program preferred for Aquatic Supervisor applicants, but not required. Must be able to work outdoors exposed to varying weather conditions (rain, wind, cold temperatures, direct sunlight or high heat and humidity). Able to work flexible hours including weekends and holidays (approximately 50-60+ hours per week). Must be able to perform physical activities that require moving one's whole body such as lifting, balancing, climbing and stooping or bending. Must be able to stand/walk up to 12 hours at a time. For more information, or to receive detailed job descriptions, please send your resume and a brief description of your background to: summer.jobs@moreyspiers.com. Please include an email subject line of "Water Park Internship". Culinary Interns at Morey's Piers and Water Parks assist in overall Food and Beverage facility operations including, but not limited to: assisting in the development of menu items, determining ordering needs, food preparation, assisting in the planning and implementation of special function and catering events, inventory management, and the overall guest experience. For training purposes, applicants must be available to start work on or before the middle of May in order to be considered for this position. Internships run for approximately 3 months, and generally begin in May and end in mid-August or early September. Must understand the daily operations of restaurants and quick service food locations. Must successfully complete all department training programs. ServSafe certification or equivalent food handling certification/training; TIPS certification a plus. Able to understand professional standards including: sanitation, handling and care of food, cook processes and operation of kitchen equipment. Able to work effectively independently as well as part of a team. Able to work in a high intensity environment. Must be able to work flexible hours, including nights, weekends and holidays. Must be able to push, pull or lift up to 25lbs. Must be able to work in varying weather (rain, wind, cold temperatures, direct sunlight or high heat and humidity. If interested, please email PDFs of your cover letter and resume to summer.jobs@moreyspiers.com. Please include an email subject line of "2019 Culinary Internship." The Ride Operations Management Internship at Morey's Piers is a supervisory-level position that provides the opportunity for college students to develop management, leadership, and communication skills in a fun and exciting environment. Interns will assist in overall amusement facility operations including: organizing associate activities, training individuals and groups, leading team meetings, data collection and entry, ride system operation, identifying and resolving problems, admissions systems, and risk management. Top priorities include ensuring the safety of our Guests and fellow Associates, facility cleanliness, and providing Guest Service that exceeds expectations. Due to the seasonal nature of the Wildwoods, ample affordable seasonal housing is available for summer residents. In fact, over 90% of the seasonal Associates at Morey's Piers are from out of state and spend their summer in Wildwood. Morey's Piers offers housing assistance to all interns. For training purposes, applicants must be available to work from May through August in order to be considered for this position. Internships run for approximately 3 months, and generally begin in May or June and end in August or early September. Please review our Frequently Asked Questions before applying to ensure you understand the parameters of this internship. Application Timeline: Hiring begins in January and positions are filled on a first come, first serve basis. Hiring is on-going until all available positions are filled, generally by mid-April. Compensation & Hours: $11.25 per hour. End of season, performance-based bonus of up to $750. Approximately 55 hours per week, including days, nights, weekends and holidays. Must be attending college or a recent graduate. High level of communication (verbal/written) and time management skills. Should you have any questions please email us at interns@moreyspiers.com. The Games Leadership Internship at Morey's Piers is a supervisory-level position that provides the opportunity for college students to develop Management, leadership and Guest service skills in a fun and exciting environment. Morey’s Piers operates approximately 40 games of skill and chance across its three amusement piers and two beachfront water parks. Interns are key members of the Games Management Team and are responsible for the daily operation and Management of an area of games, typically consisting of approximately 8-15 revenue producing stands, that employ 30-60 seasonal Associates. Interns will assist in overall games facility operations including: daily staff supervision, organizing associate activities, training individuals and groups, identifying and resolving problems, cash control and risk Management. Top priorities include ensuring the safety of our Guests and fellow Associates, facility cleanliness, and providing Guest Service that exceeds expectations. Attending college or just graduating. Prior supervisory experience in games, retail or amusement park setting a plus. High level of organizational skills and detail oriented. Able to work flexible hours, including nights, weekends and holidays. Must be able to perform physical activities that require moving one’s whole body such as lifting, balancing, climbing, stooping or bending. Ability to stand or walk up to 12 hours at a time and lift up to 50 lbs. Must be able to work in varying weather (rain, wind, cold temperatures, direct sunlight, high heat and/or humidity). The Retail Internship is a supervisory level position that provides the opportunity for college students to develop skills and gain insights in a fun and exciting environment. Our Retail Department consists of 3 unique stores along with 5 smaller outlets selling Morey's Piers merchandise to our estimated 3.5 million visitors throughout the summer. As an intern in our Retail Department, you will work closely with our management on daily department tasks from product design to visual merchandising, to training new team members, and other supervisory responsibilities. You will work across other departments to provide world class customer service as well as helping to develop and carry out a marketing plan for all of our retail outlets through multiple channels. Internships run for approximately 3 months, and generally begin in May and end in mid-August/early September. Application Timeline: Hiring begins in January and positions are filled on a first come, first serve basis. Hiring is ongoing until all available positions are filled. Compensation & Hours: $11.25 per hour. End of season, performance-based bonus to be discussed upon hiring. Approximately 40 hours per week, including days, nights, weekends and holidays. Must be interested and have some knowledge of fashion product and Trend Awareness. Must understand the daily operation of a retail store or be familiar with the retail store environment. Must successfully complete all department training. Must be able to work efficiently and independently as part of a team. Must be able to work flexible hours including nights, weekends and holidays. If interested, please email PDFs of your cover letter and resume to summer.jobs@moreyspiers.com. Please include an email subject line of "2019 Retail Internship." Morey’s Piers is seeking a Health and Safety Intern to join our team for the summer of 2019. The Intern will assist the Health and Safety Manager with training, and reporting on compliance issues pertaining to federal, state, local, and corporate safety, health, and environmental regulations. Assist in safety training of associates and management through safety meetings and providing material to supervision for their use. Develop and conduct safety communication aimed at reducing exposure to workplace hazards and ensuring compliance with applicable standards. Assist in maintaining safety data and analysis and providing vital trend information. Assist in conducting incident investigations; develop and follow through on corrective action plans. Assist with management of Worker’s Compensation Claims and Case management. Assist with the management of First Aid and EMTs. Support Health and Safety Manager to ensure overall Federal, State, and local regulatory compliance, Company policies, procedures, & activities are in place, training occurs as required, and appropriate auditing activities are being conducted. Our season runs between May and September; work schedule is typically 40 hours per week and will include early mornings, weekends, nights and holidays. An active or recently graduated college student with concentration in Occupational Health and Safety or similar. To apply, please email your cover letter and resume, in pdf or doc format, to interns@moreyspiers.com. Please include an email subject line of “2019 Health and Safety Internship”.